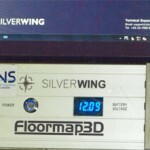 3D MFL Tank Floor Scanning : Advanced NDT Solutions (ANS) continues to invest in the latest Technology with the addition of the Silverwing Computerised Magnetic Flux Leakage (MFL)Floormap 3D scanner with STARS technology to provide discrimination between top and bottom surface defects. 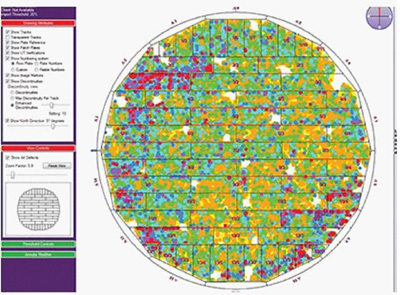 The innovative STARS technology (patent pending) adds an additional set of sensors to detect variation in magnetic field strength caused by top side defects, and combines this with traditional MFL indications to identify top or bottom location. 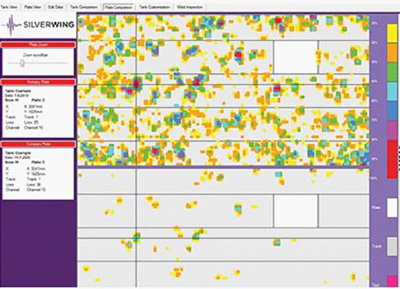 The Floormap3D has a total of 256 sensors, enhancing lateral resolution to detect smaller defects, and reduce sensitivity to defect orientation. The top surface discrimination works effectively through up to 6 mm (1/4″) coating, enabling effective tank inspection without coating removal. The metal bottom of a tank can produce an unnecessary inspection and maintenance effort in comparison to its initial cost. This reflects the difficulty in detecting corrosion of the tank floor, especially on the underside. This in turn can give rise to an insidious loss of product and damage to the environment with the inevitability of a reduction in profits. Whilst it is unusual for a failed floor to lead directly to catastrophic failure of a storage tank, it is not impossible for it to do so. A more common failure mechanism is leakage through the floor damaging the tank foundations, which could lead to instability and eventual catastrophic failure. Nevertheless the integrity of the original tank bottom remains the prime means of preventing product loss and associated damage to the environment, and thus it needs to be maintained in a sound condition. Recent developments in the methods available to inspect tank floors make remaining life predictions easier. 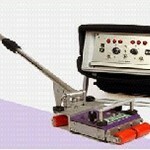 The Floormap3D is the most advanced MFL floor scanner on the market today. 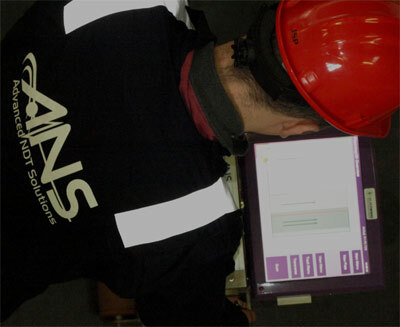 ANS combines this unit with a complimentary inspection tool (Hand Scan HS 100 system) that is ideal for the restricted areas such as adjacent to shell wall; below internal piping and at plate intersections; also for storage tanks of diameters lower than 10 m, petal floor plate designs or in situ heating coils. The degree of inspection and repair that it is economically sensible to perform before the whole floor is replaced will be influenced by many factors. These obviously include material and contracting costs, but a major factor will be the time and cost of cleaning the tank and preparing it for work. This latter cost will vary greatly depending on whether the tank is holding clean, light product or is handling crude or heavy oil or a dirty liquid. TMFL technology can also be employed for rapid inspection of piping looking for general wall reduction. 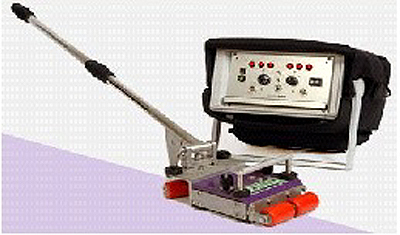 Even in such a small configuration the latest generation of permanent magnets enable localized magnetic saturation of the floor area under test. Signals from corrosion, above the operator controllable threshold, are displayed as both a visual and audible alarm. 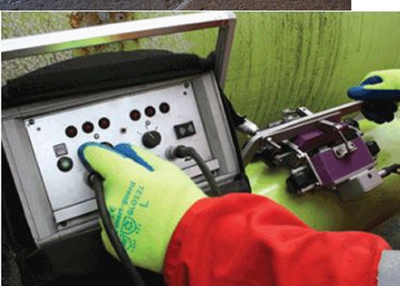 It’s low profile and extendable handle allow scanning in otherwise inaccessible areas of storage tanks such as the shell to annular area and under pipe work or heater coils. 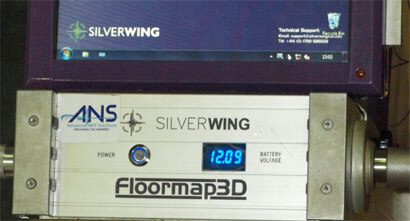 Inspection data from the Handscan can be manually added into the SIMS reporting software when used in conjunction with the Floormap 3D floor scanners to produce a complete ‘fingerprint’ of the tank floor condition. The Floormap3D has a wider sensor head than previous models capable of scanning up to 1440 m2 per day, and unlike manual ‘stop on defect’ systems, this is irrespective of the number of indications found. The software guided mapping process encourages the most efficient plate coverage, and helps ensure the maximum area is scanned reducing the chance of missed corrosion. The high resolution MFL sensor head coupled with advanced signal processing, significantly improves corrosion detectability and sizing over previous generation systems. Typically on a 6 mm (1/4″) plate, defects as small as 20% (as specified by API 653) have a 100% probability of detection, with sizing accuracy better than +/- 5%. The system will also detect pipe type defects and through holes down to 3 mm (1/8″), with the unique raw MFL and STARS data views aiding in characterisation of defect types.